LAHORE: (Thursday, May 25, 2017): Punjab University Vice Chancellor Prof Dr Zaffar Mueen Nasir has said that auditors can ensure transparency in institutions if they play their due role because they stop others from wrongdoings. 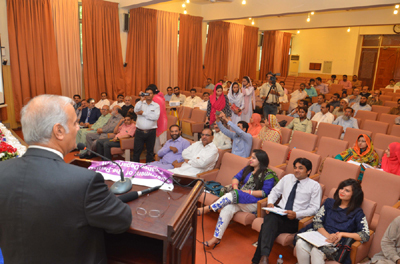 He was addressing a workshop on issues of local fund audit organized by Divisional Directorate Local Fund Audit Department Lahore at Al Raazi Hall. Divisional Director Amir Mufti, PU’s Resident Auditor Chaudhry Zaffar Iqbal, former resident auditor Naeem Iqbal Qureshi, resource person Jamil Bhatti and a large number of auditors from various departments were present on the occasion. 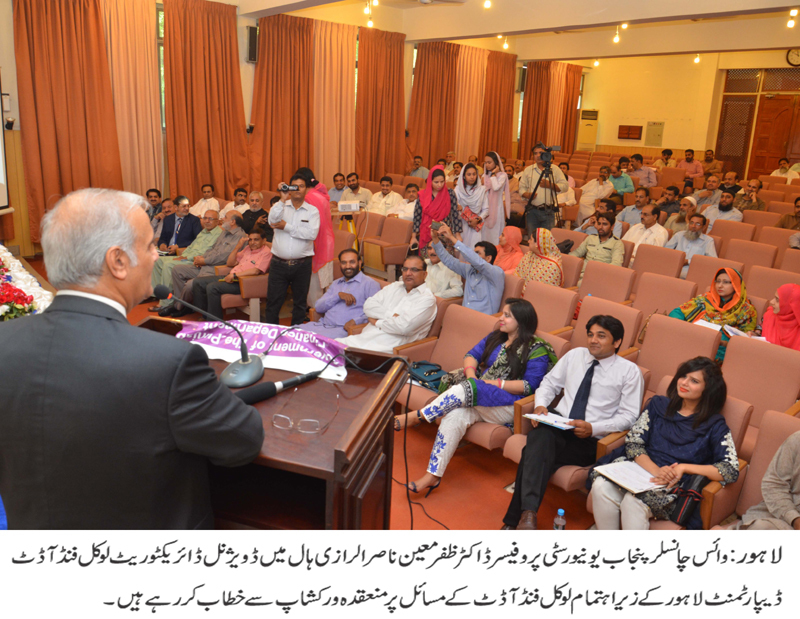 Addressing the workshop, the vice chancellor said that auditors must be respected. He said that there was need to adopt new techniques of audit and we must include these new methods in our system. Mr Amir Mufti said that the purpose of the training workshop was to share experiences with each other and equip auditors with modern techniques to improve financial matters of the institutions.